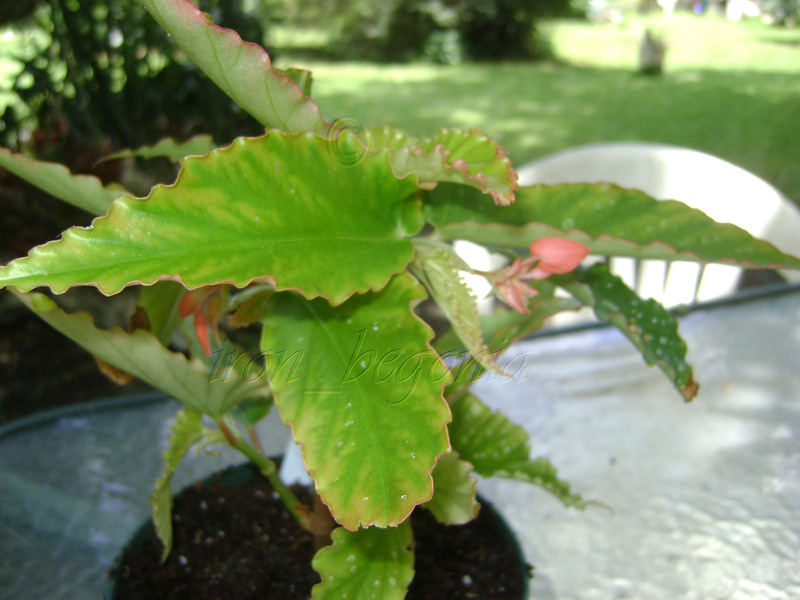 I purchased this begonia in San Antonio this year at The Southwest Begonia get together. 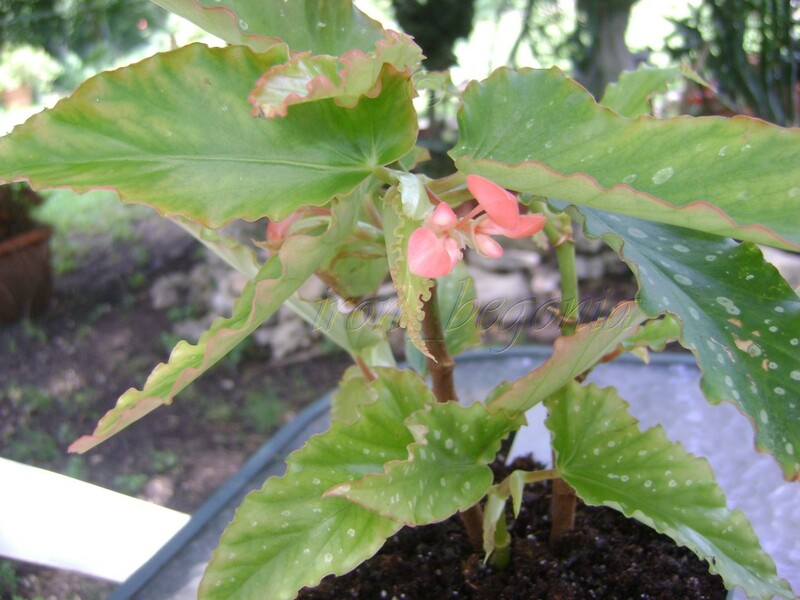 The blooms are a peach/pink color and the leaves are light green with silver/white spots. It is a medium size compact grower. As you can see in the pictures the leaves have a slight ruffled pink edge.